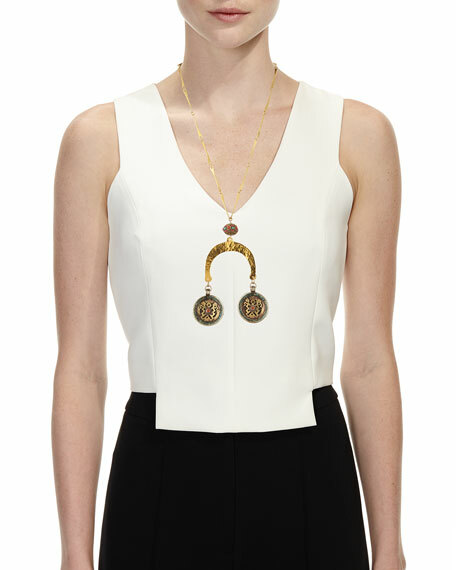 Medallion hammered pendant necklace by Devon Leigh. 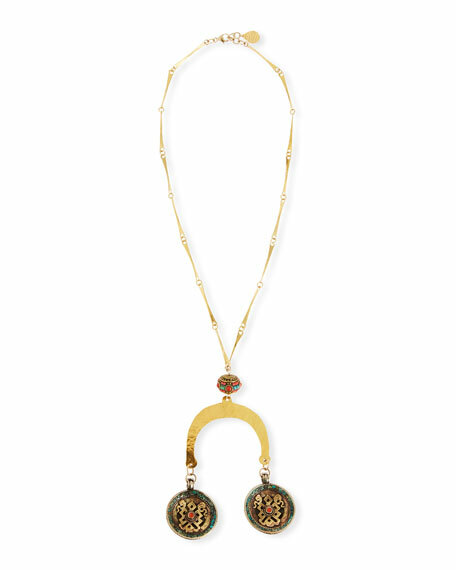 18-karat gold-plated curved links and hammered drop. Turquoise and coral pendant with two medallion drops. 14-karat gold-filled extension chain and lobster clasp.